(MENAFN - Pajhwok Afghan News) GARDEZ (Pajhwok): President Ashraf Ghani during his last visit to southeastern Paktia province inaugurated and announced several key projects, but none could be completed as yet, residents and their representatives say. Provincial Council (PC) members and residents are complaining that practical work on projects the President promised last year is yet to be launched on most of the schemes. Mumtaz Karokhel, a PC member, told Pajhwok Afghan News that when the president last visited Paktia, he inaugurated construction work on several projects, but practical construction was yet to be started despite the passage of four months. President Ghani inaugurated work on the Gardez-Zurmat road, an industrial park, police headquarters building and a park for government servants, he said. He added the so many promises eroded people€™s trust in the government and the inaugurated schemes should be properly completed ahead of winter. Karokhel informed among the promised projects, only power connections were given to people from the imported electricity, but the power supply remained. €œConstruction work is impossible in winter, the government shouldn€™t deceive people with empty promises. When a project is delayed, the provincial authority should inform people,€ he said. Ziarat Gul Taseer, a civil society activist, told Pajhwok that the governor and several ministers had vowed to build the Gardez ring road, the provincial guest house, buildings for 40 schools and several other facilities. 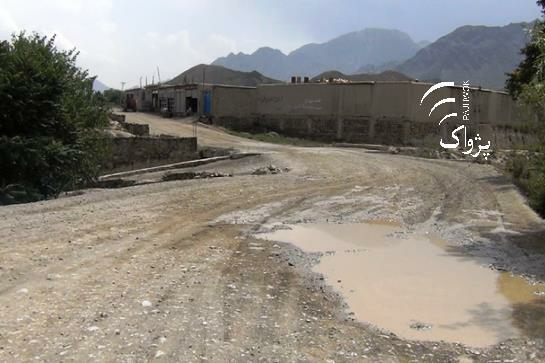 Ajmal Masoodzoi, a resident of Gardez city, said every project should be designed and planned in the beginning of a year in order to be done on time. He said only 10 percent construction work had been done on the Machalgho dam €a project which was to be completed in three years. A number of other residents expressed similar views and urged the government to immediately resume work on the projects. However, Governor Shamim Khan Katawazi blamed the delay in projects on security issue and said work on them would be resumed soon. He assured that construction work on the Ahmadkhel-Aryub Zazai highway would be practically launched in two weeks.